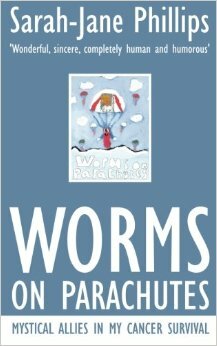 Book Review: Worms on Parachutes - a gritty, real read of one woman's fight to survive cancer. Twice. The sheer volume of books written by people sharing their personal stories of dealing with a cancer diagnosis and treatment, is testament to the fact that an increasing number of cancer patients make it through treatment and out the other side - which is a huge achievement, in itself. 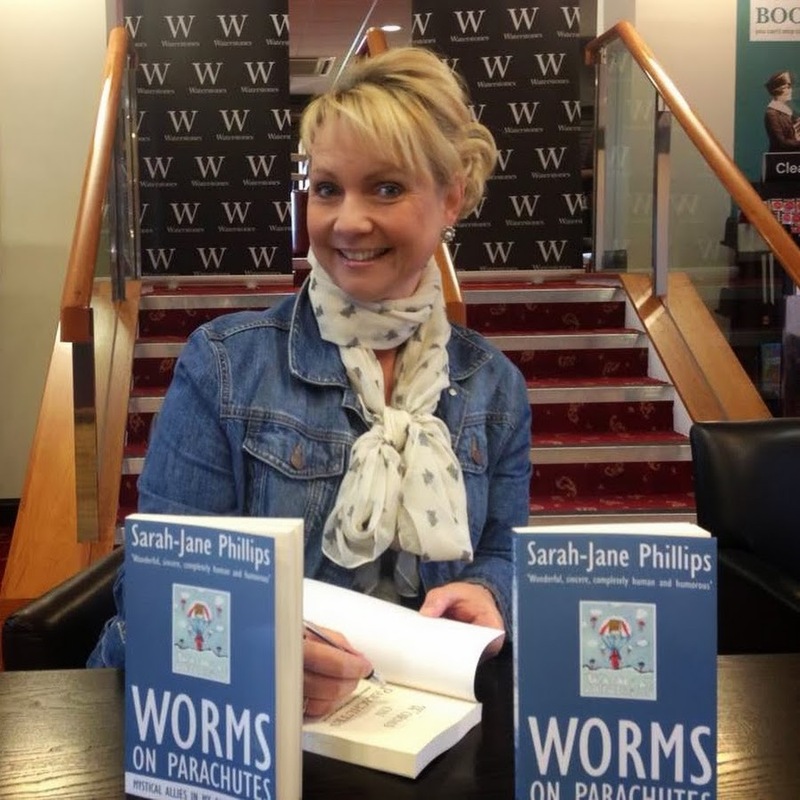 ‘Worms On Parachutes’ is one of those books, written by Sarah-Jane Phillips, a newly-published author. Yet that is where the comparison has to end, because Phillips has penned an unusual book indeed. The write-up on Amazon begins "This is not just another cancer survival story. It's a story about life and what's important in life. It's a story about the path that life can sometimes take us down and it's about choices.” What I was totally unprepared for, having read the Amazon write-up, was the shocking honesty that Phillips would share through Worms on Parachutes’ pages, and how much it would affect me - a fellow Triple Negative young breast cancer survivor. A raw, gritty, sometimes-hilarious yet many-times-sad, thought-provoking book about her unusual mystical allies (the worms on parachutes) in surviving not one, but two forms of cancer, Phillips sets the scene by revealing she was always accident-prone, visiting hospital many times for various childhood bumps, knocks and breaks. Quickly skimming through an adventurous childhood overseas, her description of receiving a Hodgkins Lymphoma diagnosis as a young teenager - and subsequent treatment - gives readers the idea that this is one determined girl, although you get the feeling that time has dulled the pain of this particular period in her life. Quite rightly so, as she goes on to make a full recovery, meets the love of her life and goes on to have two girls. Then the real story begins. Of how the mantle radiotherapy to treat Hodgkins Lymphoma has left her susceptible to cancer. 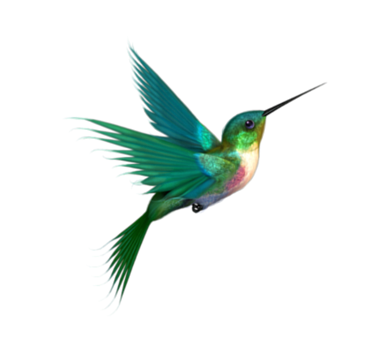 Of noticing a pattern on her breast, of feeling a tiny pea-size lump, of the hospital tests … as I read page 55 on the bus, going towards my yearly mammogram, I started to sob. I had known for certain that my lump was cancerous when MY kindly sonographer had said goodbye, with a touch of unexpected gentleness and care. This book suddenly got personal. Phillip’s treatment, complications and magnificent determination to get super-fit, to give her body a fighting chance to beat a notoriously aggressive form of breast cancer, had me crying, chuckling, snorting and cheering in equal measure. The tender care, the communication inefficiencies, the clunky bedside manner of particular oncologists, the loving care of her husband, her family and little girls; all rang loud and true. The reverence and affection Phillips’ feels for her surgeon; many breast cancer patients will recognise this! Her heroic efforts, supported by her friends and family, in order to raise money for Breakthrough Breast Cancer, were truly inspirational, as was her zest for running and ultra-healthy eating habits. I applaud Phillip’s bravery in writing such a deeply personal story, very much written in the “I” sense. It is because of her writing style that I say it's an unusual book, very different from the celebrity/raw food/spiritual books available nowadays that talk about cancer. Although I did struggle at times with the flow of the narrative, I really wanted to keep reading. This book is an unedited ‘rough diamond' publication and although I am a stickler for punctuation, grammar, and decent proofreading, in no way did it detract me from wanting to see the book through to the end. Most likely because I knew Phillips had self-published; had it been published through mainstream publishing, I would have given up on it about halfway through! I would be intrigued to see how this book could be rewritten a few years down the line, when her girls are older and she’s got a few more years of ‘Triple Negative’ surthriverhood under her belt; for time really is a great healer, and with it brings a welcome sense of disconnection from the fear we all feel going through treatment and for a few years after. A really lovely book and one which I would (despite the minor editing and proofreading issues) wholeheartedly recommend to people who, in particular, have been supporters, friends and carers of those with breast cancer. It will offer you a real insight into our minds, hearts and souls. The book cover is adorable, painted by one of her daughters! “For some of us, ordinary living suddenly takes extraordinary nerve. But it’s amazing how many of us have it when faced with adversity. We’ve paid up front. It’s time to live positively. We have a lot to teach those who take life for granted” - Sarah-Jane Phillips. Disclaimer: I received a paperback copy of the book by the author to read, and provide an unbiased review if appropriate.